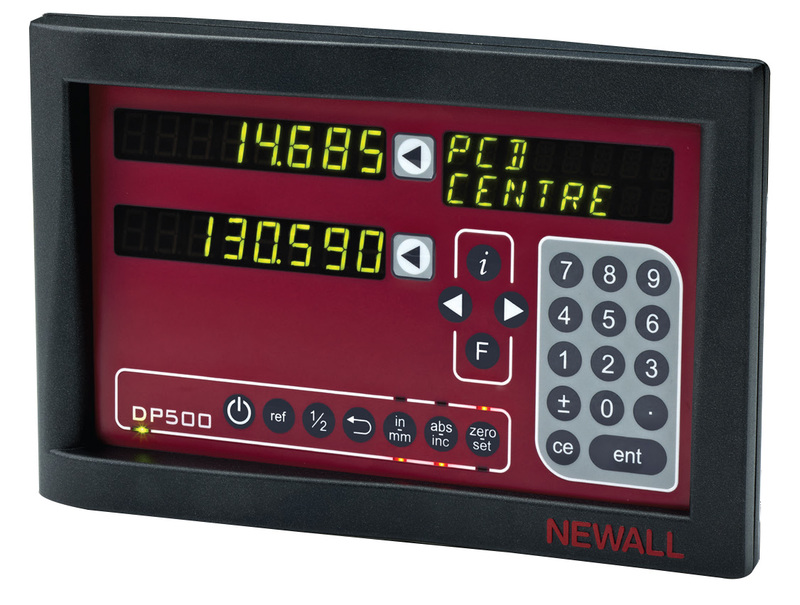 ewall’s DP500 Digital Readout Systems set the standard for reliability, value and ease of use for turret mills and tool room lathes. The DP500 DRO Mill and Lathe Packages include Newall’s Spherosyn LT or Microsyn LT encoders which are designed to provide accurate readings even under the toughest shop conditions. The DP500 DRO Packages are available in two or three axes for turret mills with travels up to 406mm x 915mm and for two axes lathes with up to 2 meters between centers. 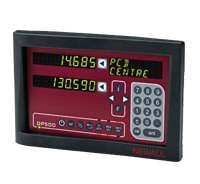 All the DP500 DRO Packages offer the same quality and benefits that Newall is known for. The DP500 Packages come with the new Spherosyn LT or Microsyn LT encoders. These encoders feature the same inductive technology and IP67 rating as Newall’s Spherosyn 2G encoders and will provide accurate and dependable readings under the harshest environmental conditions. Encoders carry an IP67 rating – All electronic and measuring components are sealed from the environment. *All packages are available with or without mounting brackets for the reader head and mounting arm. Longitudinal travel includes Spherosyn LT encoder. Cross travel axis can be either Microsyn LT or Spherosyn LT encoder (please specify). All two axis mill packages include Spherosyn LT encoders. Three axis packages for quill axis include Microsyn LT encoder. Knee axis includes Spherosyn LT.